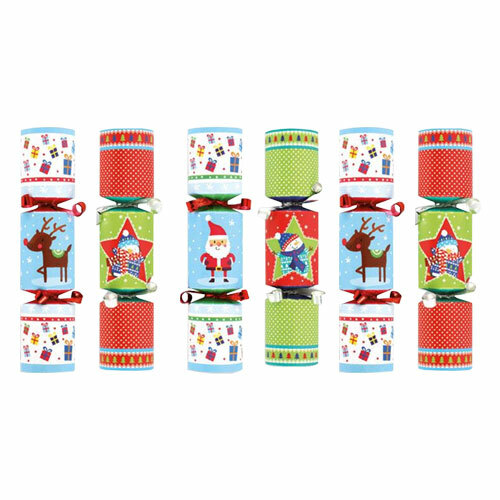 Assorted Novelty Mini Christmas Crackers – Pack of 6 Sold: Pack of 6 Size: 15cm / 6Inch x 2.5cm / 1Inch approx Material: Paper and Foil Each cracker contains a sticker, a joke and a party hat. Suitable for indoor use. Not suitable for children under 3 years old. Adult supervision required. Sold in assorted designs.